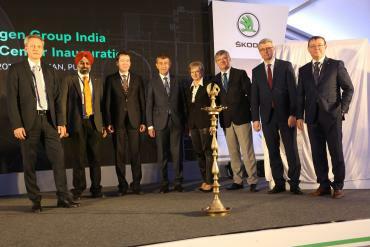 Skoda has setup a new Technology Centre in Chakan near Pune. 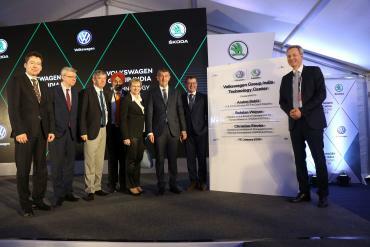 The new facility, which is part of the Volkswagen Group's India 2.0 project was inaugurated by Czech Prime Minister Andrej Babiš. The new Technology Centre will employ 250 engineers, who will be developing vehicles tailored for the Indian subcontinent. The team will be responsible for overall vehicle development, including project management, electronics, infotainment, body design, interior and chassis. The VW Group and Skoda are investing Rs. 2,000 crore in research and development for the India 2.0 project. Skoda is responsible for developing the MQB A0 IN platform and is aiming to achieve up to 95% localization. The first model to be based on this platform will be a mid-size SUV scheduled to be unveiled in 2020.